(Natural News) A lot of people take brain supplements to increase their overall mental performance. One of the major components of these supplements is the nutrient citicoline which, according to existing studies, can help improve different brain functions and brain health. Although citicoline is already found in the body, it should be taken in the form of supplements in order for one to experience its therapeutic benefits. It is initially broken down by the body into choline and cytidine so that it can be absorbed in the intestines. From there, choline and cytidine will cross the blood-brain barrier and will reform into citicoline upon reaching the brain. Citicoline is able to increase the levels of neurotransmitters, such as acetylcholine and dopamine. These neurotransmitters are natural chemicals that are used by brain cells to communicate with each other. 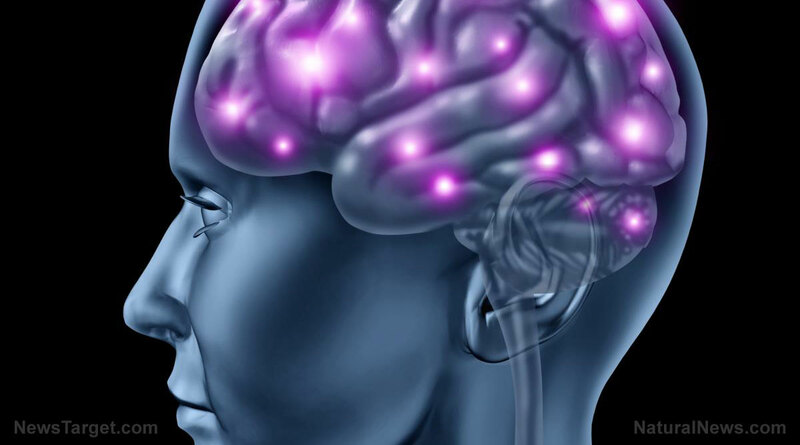 Acetylcholine aids in the process of turning short-term memories into long-term ones. Meanwhile, dopamine increases motivation, productivity, and focus. The different brain functions, such as focus and memory, require large amounts of energy. Glucose metabolism and blood flow continuously provide the brain with the energy it needs since the brain cannot store energy. By taking supplements with citicoline, the rate of glucose metabolism and blood flow to the brain are increased. Energy produced by the mitochondria, known as the powerhouse of the cell, is also increased when citicoline is present, especially in the prefrontal cortex. In addition, citicoline also functions as a nootropic, which is a substance that improves brain performance. This includes functions such as memory, intelligence, attention, focus, and motivation. Aside from those previously mentioned, another benefit of citicoline is that it is able to protect the brain from damage. Citicoline serves as a precursor of phosphatidylcholine, a crucial component of the cell membrane. This cell membrane is semi-permeable and only allows the passage of nutrients, water, and oxygen while keeping potentially harmful foreign substances out of the cell. Citicoline also stabilizes the cell membrane so that it would retain its integrity. Another way for citicoline to protect the brain is by countering free radical damage and inflammation. Since the brain makes use of a lot of oxygen for energy, it is susceptible to more unattached oxygen molecules (free radicals). These free radicals attack the brain and trigger inflammation, which then causes cell aging and many other neurological and psychiatric disorders like Alzheimer’s, stroke, ADHD, depression, and anxiety. Exercising – Studies have shown that physical activity improves brain health not only in children but also in adults. One-time exercises that last for just 10 minutes already show significant, albeit temporary, improvements in focus, decision-making, and problem-solving. Regular 20-minute exercises, on the other hand, improve high-interference memory. Eating healthy foods – Foods supply the brain with nutrients that help it function properly. A diet consisting of food such as salmon, whole grain, cauliflower, dark chocolate, and avocado will improve brain power by providing omega-3 fatty acids, antioxidants, and vitamin E.
Reducing stress – It has been revealed that chronic stress triggers long-term damage to the brain. Chronic stress has been linked to an increase in cortisol, which then causes a change in brain structure that keeps it in a constant state of fight or flight. This state of the brain is linked to disorders such as anxiety and depression. Learn about brain health and function by visiting Brain.news today. Nootropics Are Trending…but What the Heck Are They?